Educators have at their fingertips a broad, impressive menu of novels illustrating bullying issues. Peter Benson called for moving beyond a preoccupation with what is wrong with today’s youth to build the relationships and environments where all young people can thrive and flourish. In 1955, the first longitudinal study of resilience began on the island of Kauai. This research continues to the present. Emmy Werner, the principal investigator, shares her perspective on the process by which many children overcome adversity and thrive. Response Ability Pathways (Brendtro & du Toit, 2005) training was provided for all staff working with emotionally challenged students in a large county-wide school setting. To generalize these new skills and imbed them in the school culture, specific strategies were used to engage parents, students, and staff in building a climate of respect. Traditional behavior management discourages the development of self-discipline. Positive learning and growth requires meeting developmental needs of youth, including autonomy which is a prerequisite to responsible independence. 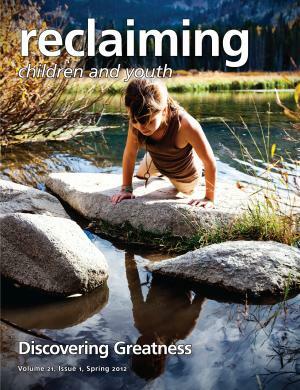 LSCI training provides a new paradigm and practical skills for reclaiming young people involved in self-defeating patterns of behavior. Professionals offer their perspectives on how this training enables them to succeed with challenging children and youth. Unresolved issues from home often spill over into behavior problems at school. This brief restorative intervention was a successful alternative to punishment and exclusion. These reflections of a RAP trainer describe the transformation that occurs as youth professionals discover the power of connecting with challenging students. Concepts from brain science are used to help a youth learn to regulate her anger and build respectful relationships. When I was young, I was privileged to be a professional boxer. The sport of boxing is no longer my field. It was a way to introduce me to the world. My most important job now is to teach people to treat each other with dignity and respect. The Developmental Audit® transforms assessment by enlisting youth and significant others in resolving problems and building strengths. Audits are used in schools, treatment settings, and juvenile justice to develop growth plans for resilient life outcomes. The principles for strength-based approaches to troubled children and youth were laid by Nicholas Hobbs a half century ago. He called for “throwing away the templates” of deficit and deviance to create environments in which all children can thrive. Angry youth act in ways that can evoke serial rejection from adults who react with punishment and exclusion. A youth in Scotland was given a safe space in which to experience unconditional belonging with staff who responded to his needs. What Do Teens Think of Therapy? Young people in residential treatment participated in the Adolescent Subjective Experience of Treatment (ASET) study. Most responses indicated a high value on involvement in individual therapy. A close colleague of Peter Benson at the Search Institute highlights the contribution of this leader in the strength-based revolution.